Are You Ready for Friday Night Lights in Atlanta? High school football is back, and most of our local teams hit the field this week. Some of our schools are perennial powers. Some are new programs. Some are rebuilding. All offer a great opportunity for some good old-fashioned fun and healthy competition. Head out to a high school football game with your friends, neighbors, and family this Friday, and be sure to kick off the night with a tailgate picnic. (Throw some dental floss in the ice chest to rid your teeth of those pesky popcorn kernels, and be sure to rinse with water after drinking sugar-filled sodas!) 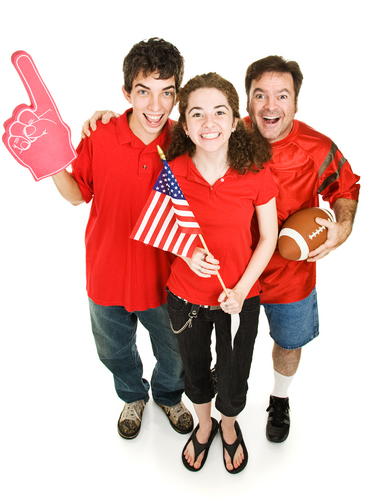 You’ll get caught up in the excitement, crazy fans and team spirit as you cheer on your team. Call your local high school for game time and ticket information, or plan to purchase tickets at the gate. And if you have a football player in the family, be sure he wears an athletic mouthguard! At Dentistry in Buckhead, we care about community, kids, and strong, healthy smiles. And we know how to have fun. Click here for a sneak peek from WSB-TV Channel 2 Sports, featuring some of our local talent!